Students from the course planed an event at the soup kitchen of the First Presbyterian Church in Mount Holly. 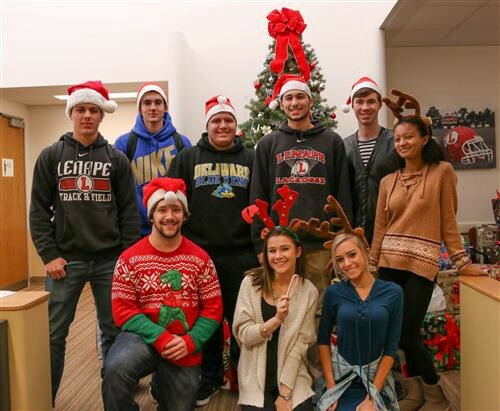 Lenape’s Foundations of Leadership classes sponsored a community service initiative entitled Operation Santa Claus again this holiday season. They served a meal and distributing presents to needy children on Dec. 19. Staff members found hand-made ornaments on the Office Complex tree. Each ornament contained the age and gender of a needy child from Burlington County. Each of these young people were at the soup kitchen on Dec. 19.